Someone is siphoning funds from billionaire Zachary Barron's currency hedge fund. 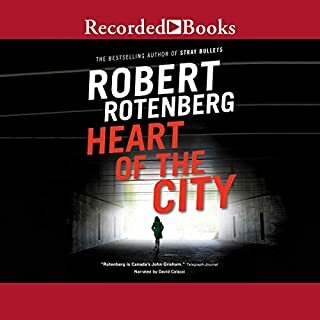 Intent on prosecuting the thief to the fullest extent of the law, he hires Katerina "Kat" Carter, the best forensic accountant in the business, to follow the money trail. Both are shocked when it leads to Zachary's father, Nathan. And he's just the tip of the iceberg. Nathan belongs to a shadowy organization with global ties and unimaginable resources. On the day before his 21st wedding anniversary, David Sullinger buried an ax in his wife's skull. Now, eight jurors must retire to the deliberation room and decide whether David committed premeditated murder - or whether he was a battered spouse who killed his wife in self-defense. 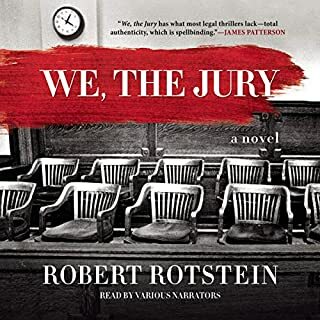 Told from the perspective of over a dozen participants in a murder trial, We, the Jury examines how public perception can mask the ghastliest nightmares. When Detective Ari Greene was charged with the murder of the woman he loved, he stopped at nothing to clear his name and uncover the real killer. After his acquittal, Greene fled to London to get away from it all, but now he's back. And he's not alone - with Greene is his 20-year-old daughter, Alison. The child he never knew he had. Determined to leave his life as a cop behind him, Greene gets a job on a construction site for one of Toronto's many new condos. It seems he has finally found peace as he settles into a new career and new role as father, helping Alison adjust to life in Canada. 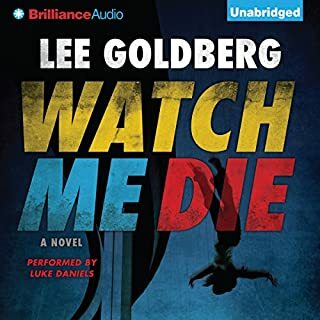 But when Greene stumbles upon the corpse of hated developer Livingston Fox, he is plunged back into the life he tried so hard to leave behind. Exit Strategy is an action-packed legal crime thriller in the vein of Michael Connelly and John Grisham, teeming with greed, corruption, and conspiracy in the corridors of power. 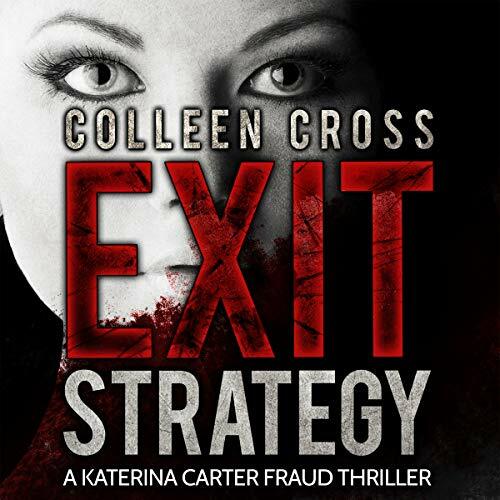 Exit Strategy by Colleen Cross is so much more than I expected. I was immediately pulled into this book featuring Katerina Carter. I was really intrigued with the stock trades and diamonds, without divulging too many details. The author wrote financial crimes so realistically, its scary. I loved the twists and non-stop action. The imagery is fantastic! I was so surprised and satisfied with the ending! I cannot recommend this book enough. Petrea Burchard performed this book flawlessly. She is so easy to listen to and adds the right emotions to the scene. Her distinguishable voices for the various characters is also great. I can't wait to listen to the next book in the series. 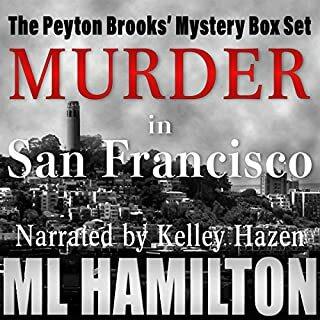 This book is a standalone listen and the start of a new series. 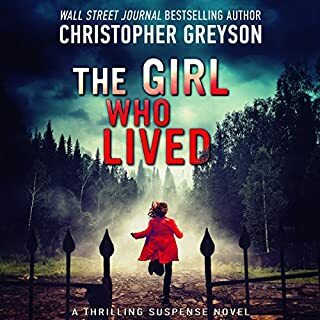 Wow, great thriller by Colleen Cross! 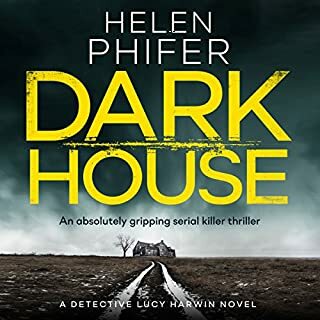 I was enthralled and really enjoyed it - well written and beautifully narrated. It's a wild ride... are you ready? Narrator Petrea Burchard always comes through with a complete cast of characters, male and female, to put forth an engaging play. 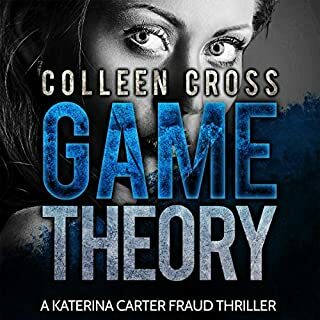 In this she is assisted by author Colleen Cross' clever tale of terrorism, diamond smuggling, banking, murder, and fraud. 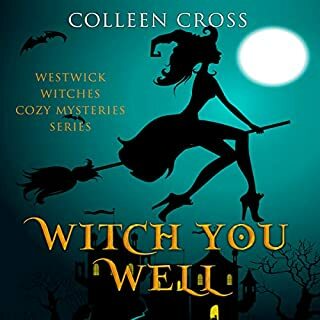 I've read several of the author's paranormal tales (crime-solving witches) which were cozies; RCMP involvement (why, yes, this is a Canadian story) introduces more of a procedural bent to this thriller. But it is the antics of our hapless heroine, an accomplished accountant on the edge of bankruptcy, which provide counterpoint to the dastardly deeds of the villains. While of a more serious bent, flashes of humor cannot be suppressed and there is much to be loved as Kat conquers all. I have to say, it took me a few minutes to start getting into this book, but I am so glad that I kept on listening because I feel like I actually learn several new facts/tid bits about the diamond trading, as well as shorting the stocks-of which I looked up and read on both avenues after listening to this book-so thank you for teaching me something new. The main character Kat, is hired to do some forensics accounting for Liberty Holdings with the company suspects it's CFO, Paul Byrant of embellishing funds. Once Kat starts getting too close and asking "too many questions" she is let go from her job from doing their tracing of the funds. However, she continues to investigate on her own, which almost cost her her own life in the process and also the life of her beloved cat. My favorite character by far is Uncle Harry.....loved his jovial spirit and him going through the trash after scolding Kat is humorous. This is my first book that I have had the pleasure of listening to Petrea Burchard and she did a phenomenal job!! Well-written tale of murder, greed and betrayal! Twists and turns hold your attention to the end! Petrea Burchard did an excellent job of narrating! Knew her characters well. Forensic accounting is waaaay above my pay grade, and I wouldn't even know how to follow the kind of money trail that's in this book. But reading it is a different story, the suspense just kept building! 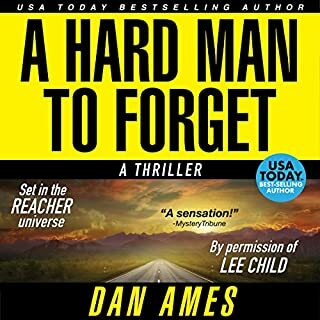 Even when I realized that I was in over my head, I just couldn't stop and research like I usually do because I just couldn't put it down! A real thrill ride. The narrator extraordinaire is Petrea Burchard and she adds to everything. This is worth your time go Download. Ok, I'm an accountant so this kind of intrigued me. Overall, it was not bad, but it wasn't great. Very cliched and predictable. $5 Billion has disappeared from Liberty Holdings and the CFO is the prime suspect, since he is missing. Kat is hired by Liberty as a Forensic Accountant to follow the money trail, find the money and bring it back to Liberty. 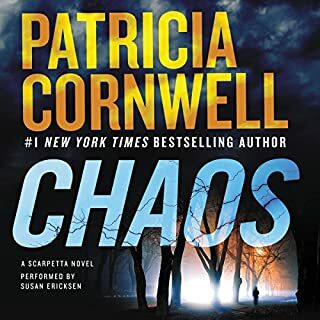 As she begins her investigation, we learn that Kat is on the verge of bankruptcy, living in her office, and hoping that Liberty will be the payday she needs to get the creditors off her back and get her new career as a forensic accountant off the ground. Awkward moment that would not be allowed - Kat's uncle is a stockholder. Kat would not be hired for this kind of work since she is related to a stockholder who has a vested interest in the company. Anyway, Kat's best friend Jace, finds out about her situation and lets her stay at the house they bought together, that is not in any shape to really be lived in. As Kat begins to piece together what happened with the money, she finds an ex-employee murdered, comes back to the house only to find her cat with it's throat slit and a note with the word "Kat" - obviously meant for her. 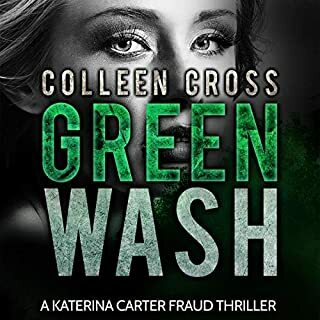 Throw in cops with questionable motives, Kat's crazy uncle, a potential romance that becomes a non-starter, blood diamonds and a South American drug cartel, kidnappings, faked deaths, and the kitchen sink. Kat never really solves anything, but pieces together bits she finds out along the way. Doesn't really speak well for her as a forensic accountant. The narration by Petrea Burchard is not great. Most of the time she sounds like a breathy femme fatale trying to seduce someone. She even does this as a male cop, one that we are supposed to think is on the take, but instead of sounding like he is mean, he sounds like a deep voiced woman trying to seduce someone! Unless I see some better reviews and a different narrator for book 2, this will be my last one. The story in Exit strategy is excellent but the un- reconcilable qualities of the main character ruined it for me. I think the author should have found a different way to roll out the situations in the story then by making an otherwise intelligent woman to be too incredibly stupid. I wanted to strangle her and it took all my patience to finish this book as it the actions of the main character were often unbelievable. This is really a fun edge of your seat kind of book. In the opening of the book your heart will go out to the young lady, with her not so full proof plan. But the real hero of the story is Katerina and her failing business. She is such a great character and I love her ex-boyfriend/business partner too. An incident later in the story really has me wondering who she can really trust though. 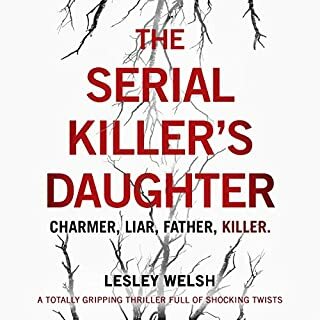 The story is fun, moves at a great pace and keeps you on your toes and not wanting to put it down. Nice job on the narration.